In 2009, The Garage Plan Shop began experiencing a greater interest in garage apartment plans due to the economic downturn. Today, as the country continues to press forward in these tough economic times, little has changed. Countless families are still facing foreclosure and unemployment. They are combining households and pooling resources to survive. Many are realizing garage apartment plans continue to provide a feasible and comfortable solution to their economic woes. For those who just do not have any more room in the home to accommodate another person or entire family or there is no basement to finish with a couple extra bedrooms and a bath, practical garage apartment floor plans deliver all the comforts of home in an affordable package. They provide all the basics including a modest kitchen, full bath, and living and sleeping area making them suitable for someone facing a budget crunch. 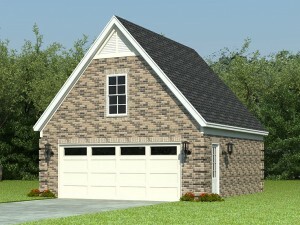 In addition, garage apartment plans add value to home deliver flexible and usable space for the future. In time, the economy will turn around and families will go back to living independently. So, when your adult children or the grandkids move out, you’ll have the ideal in-law suite or guest room for weekend visitors. Furthermore, the living quarters could double as a recreation or hobby room. And, there is always the opportunity to rent the garage apartment out to a tenant or college student allowing you to earn a little extra income sometime down the road. Finally, don’t forget about all that added garage space. The garage area is just right for parking the cars, extra storage, a craft area or just keeping things better organized like lawn and garden tools. 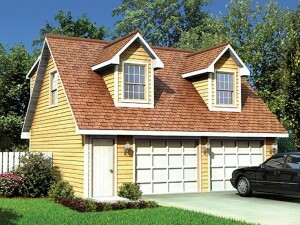 Garage apartment plans come in a broad range of architectural styles and a multitude of sizes. With such a varied selecting, chances are you’ll have no problem finding the right one to blend with your home and satisfy your needs.